Here's a great tip for plant care. When you are finished with your milk container, before you wash it out, fill it with water and water your plants with the milky brew. If it's skim milk, you can pour or spray it directly onto your plant's leaves - this is called foliar feeding. You can also use diluted milk to water your plants, which is better if you are using any milk other than skim. If you are using a fuller fat milk, I've read that the fat isn't good for the plant's leaves, but you can still pour diluted fuller fat milk into the soil. Besides giving your plants a nutritional boost, milk can also help prevent or even cure some of the fungus problems that plants are often susceptible to - the milk acts as a fungicide. 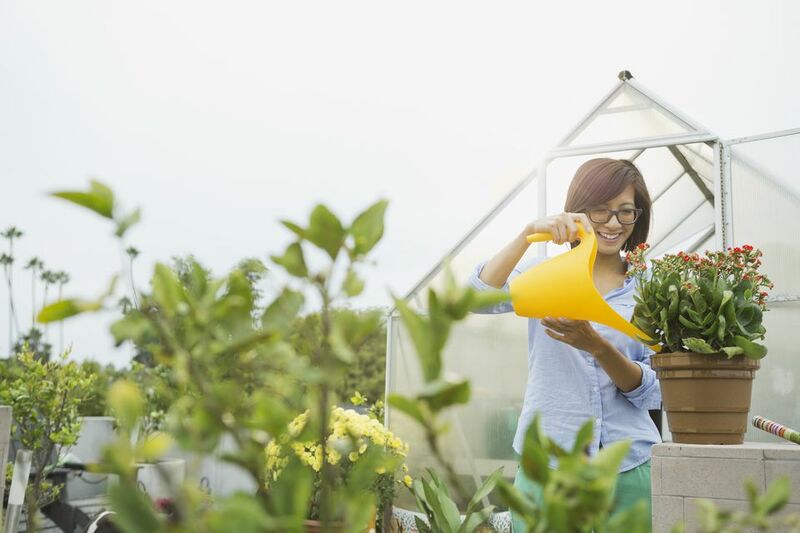 Diluted milk is great on tomatoes and other container garden vegetables, as well as annuals, perennials and even houseplants. If you drink milk in your household, this is a great, easy and free way to give your plants a nutritional boost while improving plant care.